This resonates with us moderns: God does not inhabit an edifice of bricks and mortar; he dwells in the hearts and minds of his faithful. For a humanist this translates into God lives inside of man. Dare we attribute such an enlightened interpretation to our forebears? For classical theologians and mystics the question posed by a temple was more basic… how can it be that God can be confined to one place… any place? For the mystics the bigger problem is how to explain a finite physical world when God is infinite. If God is the Eyn Sof … an existence that suffers no beginning and no end, how is a created world with beginnings, ends and finite dimensions, let alone “evil” permitted to exist. The same holds true for the temple. There is an eternal and entirely spiritual temple which God inhabits and which inhabits God… our material temple is simply a reflection of that celestial temple. 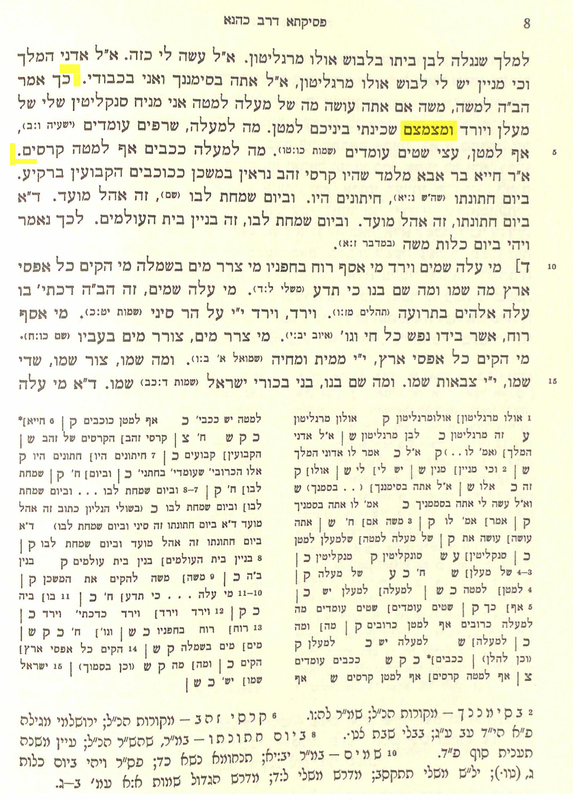 In the Pesikta D’Rav Kehana, which contains material that dates back to the times of the Midrash (3rd and 4th century) we find an fascinating rendering of this theology. כך אמר הב”ה למשה, משה אם אתה עשה מה של מעלה למטה אני מניח סנקליטין שלי של מעלן ויורד ומצמצם שכינתי ביניכם למטן. 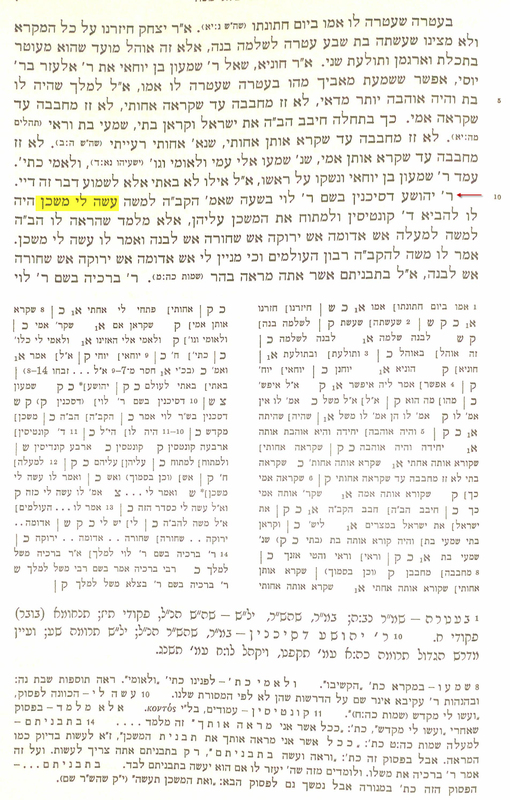 For anyone who has heard of Lurianic Kabbalah and the system of Tzimtzum this is a truly revolutionary midrash and the only Midrashic/Talmudic reference to the Tzimtzum of God in Rabbinic literature. Let me explain… According to Gershom Scholem, the preeminent authority on the development of the Kabbalah, the de facto solution to the infinite God creating a finite world conundrum; not to mention His dwelling in a wordly temple, was the theory of emanation. In the theory of emanation God’s totally spiritual and infinite presence is reflected through a series of increasingly degraded and physical illuminations and reflections until the physical is possible. This solution is philosophically unsatisfying since it literally kicks the can down the road… but it was the best that the mystics could do and it survived from the earliest days of the Kabbalah and Zohar until the expulsion from Spain in 1492… close to 1,000 years after our Tzimzum midrash was written. The expulsion from Spain disrupted Jewish thought and sensitized the mystics to the dialectic between Exile and Return and suffering and redemption. Isaac Luria who lived only to the age of 38 turned the theory of emanation on it’s head. According to Luria, God didn’t so much as create the physical world as He contracted Himself into Himself in order to permit the existence of a physical world, including matter, evil and … a temple. In my view, this emanation on-it’s-head approach is as philosophically unsatisfying as emanation. It begs the same question. But from a poetic, humanist, existential let alone pedagogic perspective it is stellar. Any parent who learns to step back in order to permit a child to move forward will appreciate Tzimtzum! Another way of phrasing contraction would be diminution. In a very real and radical way, tzimtzum implies that God commits the ultimate blasphemy/sin.. he diminished Himself.. the Godhead. 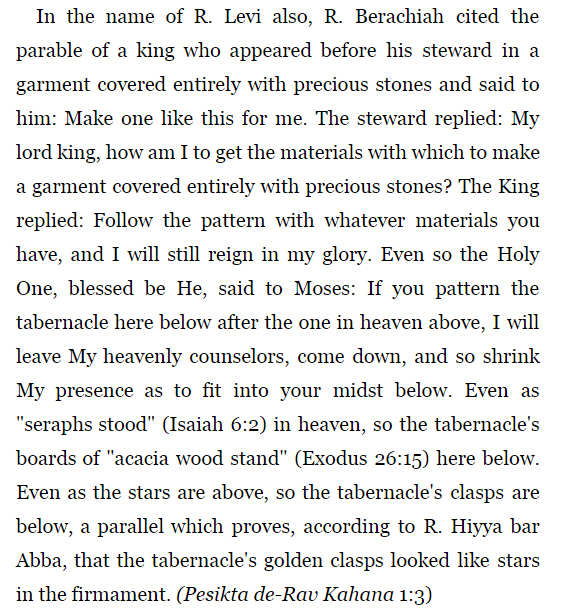 Tzimtzum is a variation on the old conundrum… If an all powerful God can make anything… can He make a weight that is too heavy for He Himself to lift? In the case of tzimtzum the answer is Yes. God can diminish himself to a point that He alone cannot repair the damage…. As it were. 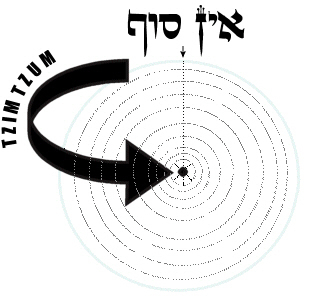 It is clear to me that tzimtzum is a dialectical process. As in our original midrash, God withdraws from the celestial temple to concentrate into the temporal temple. And, according to Luria, when God withdraws He leaves [concentrated] traces of His holiness called Reshimu or residue similar to the residue of oil or wine in a bottle the contents of which have been poured out. The process is not smooth, it is disruptive to the point that Luria coined a term “Breaking of the vessels” Shevirat haKelim to refer to this big bang of contraction. When God contracts, the vessel that holds Him is ruptured into pieces. Both the residue and broken pieces contain remnants of the infinite. God is removed, exiled (c.f. “the Divine Presence in Exile” – שכינתא בגלותא) and separated from these remnants and only man can unite God by repairing these broken pieces and this is redemption – Tikun. This is the mystical concept of Tikkun Olam, fixing the world. What it has in common with the social-action concept of Tikkun Olam is that both are thoroughly dependent on Man. We now come full circle and have a radically humanistic conception of God’s presence in our world.. hinted at first by the Rabbis of the Fourth Century Midrash and flushed out in a radical theology by a 30 year old decedent of refugees from the Spanish inquisition in Safed. God’s dwelling in the Mishkan is dependent on man. The tabernacle and Temple represent a poetic dance between God and man, exile and return, suffering and redemption… for both parties. The vision of Jews and God outside of the temple, willingly withdrawing from the temple appears less absurd. The Kotzke Rebbe’s answer to the question “Where is God?” is both empowering and obligating. with ever increasing density which shows itself as the material world? Trust the sermon was well received. Yes and yes and yes….